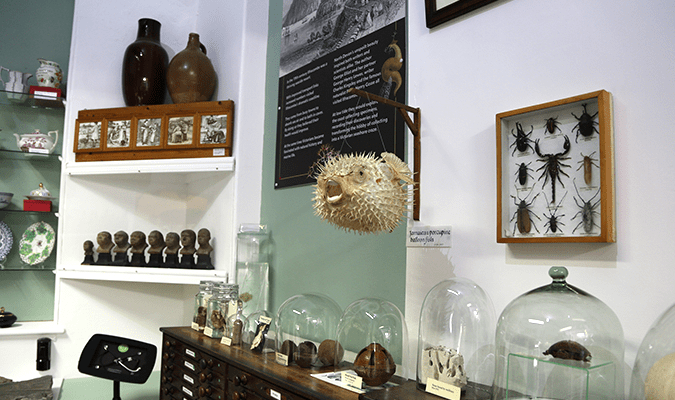 Explore a world of curiosities at our friendly museum. 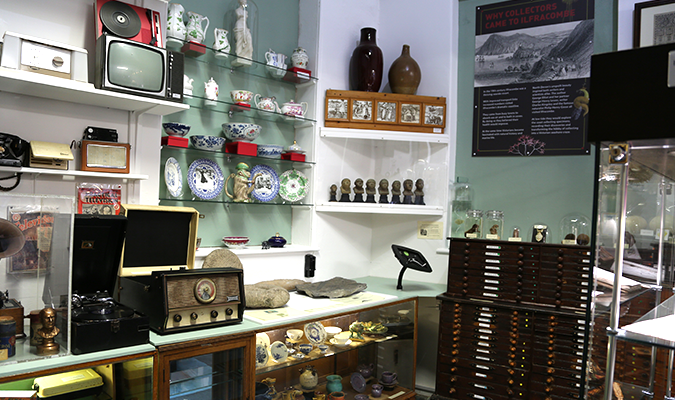 Discover the story of Ilfracombe’s rich history and find objects from around the world. 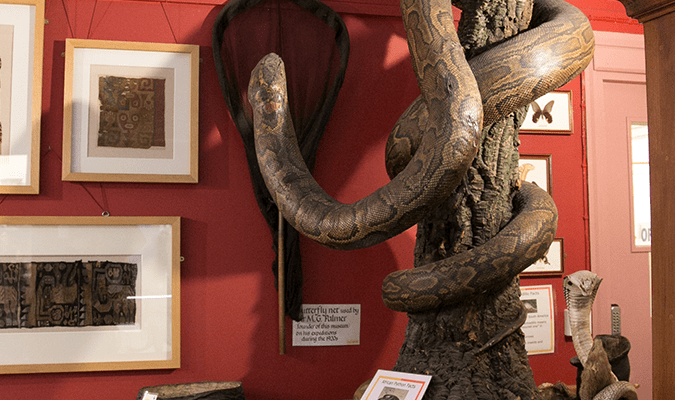 Be amazed at the variety of our collections, from natural history and archaeology, art and photography, costume and domestic history. There’s something here for everyone to enjoy. We’re open every Monday to Saturday from 10am – 5pm. Closed every Sunday. 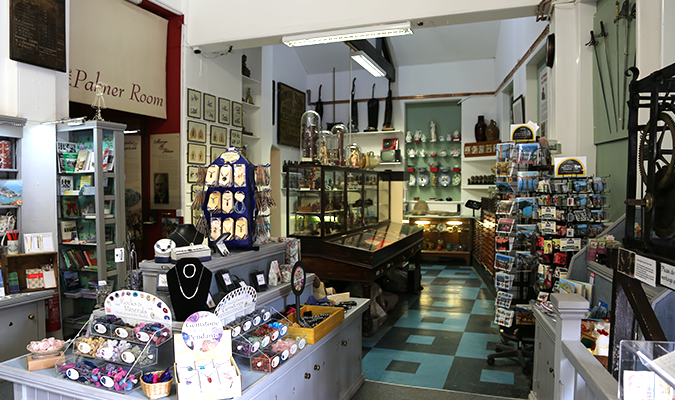 The Museum is off Wilder Rd behind Runnymede Gardens, right next door to the Landmark Theatre. 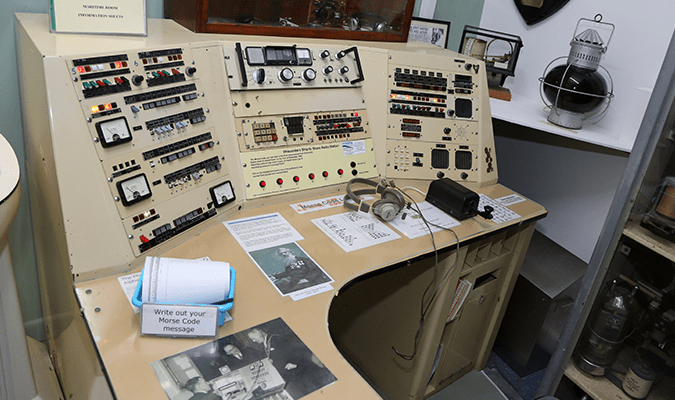 Throughout 2017 we will be having special events and exhibitions in the Museum. 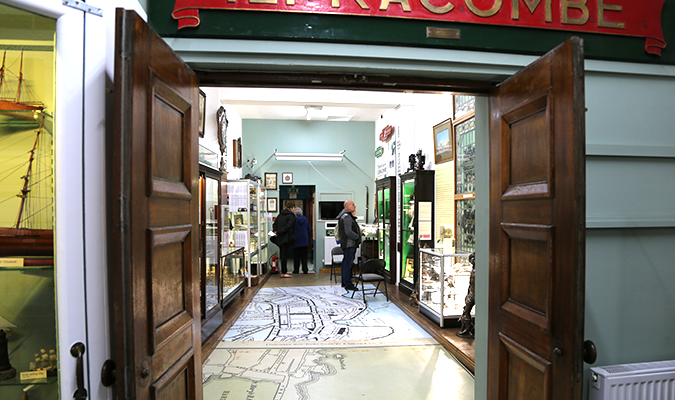 A cross between an Edwardian collector’s study and your Granny’s attic Ilfracombe Museum houses objects you have read about and some you may remember from days gone by, Ilfracombe museum is overflowing with curiosities and memorabilia. The whole family will be intrigued by the variety of displays. Peer into drawers and peek into cupboards; wander through eight different rooms and uncover the museum’s hidden treasures. 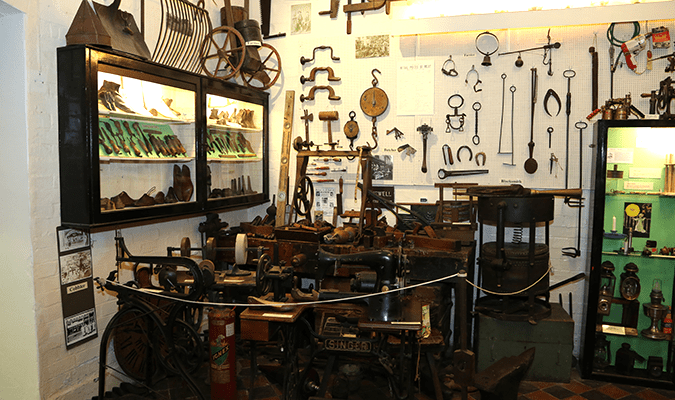 You won’t be disappointed by your visit to one of North Devon’s best museums! There’s more to discover than you’d ever imagine! Children’s quizzes, brass rubbing & regular children’s activities. Under 16s FREE. Disabled access. 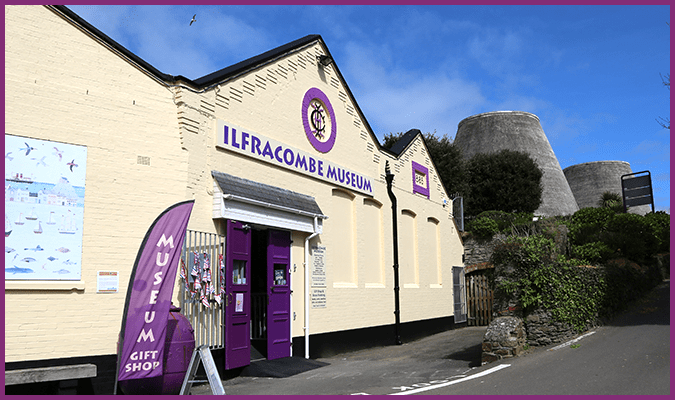 Ilfracombe Museum Is an Independent Charity (Reg No: 269379), which is not funded by the Government or Local Authority. 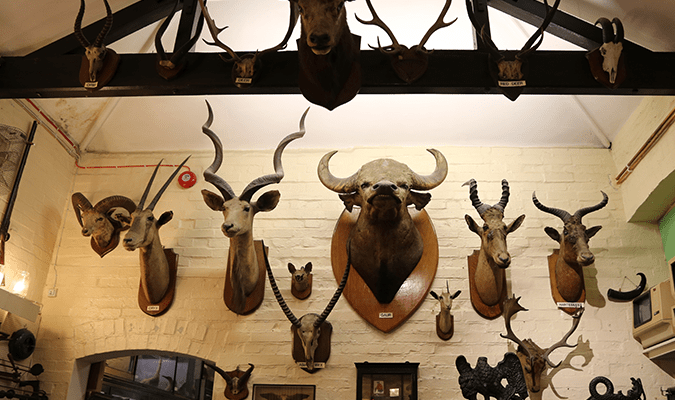 We rely on the generosity of our visitors and supporters through admission fees, shop sales and donations. 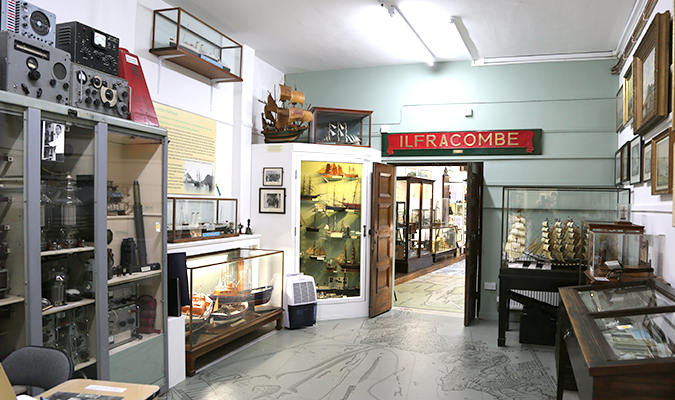 Your ticket price includes a voluntary donation of 10% to Ilfracombe Museum. If you are a taxpayer, we can claim an extra 25% on top of your admission charge from the Taxman, when you complete a Gift Aid Form.